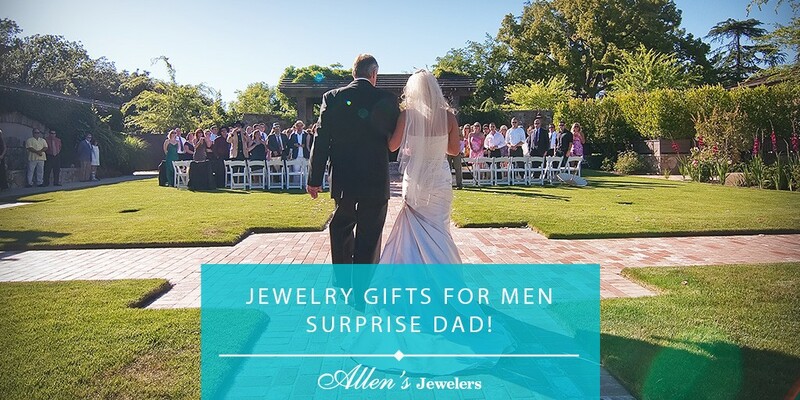 Jewelry Gifts for Men- Surprise Dad! June is a special month for fathers. From being the Father of the Bride to celebrating Father’s Day, there are many reasons to find a special gift for the men in your life. Skip the customary tie and get dad something he will treasure for years to come. This year, surprise dad with something that expresses how much you really appreciate him from our collection of jewelry gifts for men. A wristwatch is not only useful, it is also seen as a symbol of class and style. From a new every day wristwatch to a high-end wrist or pocket watch, our associates are ready to assist you in finding the perfect match. Allen’s Jewelers has a selection of watches at fair and reasonable prices that will make the ideal gift for Dad or Granddad! Does Dad already have a favorite family timepiece? Restoring a vintage family watch is also a thoughtful gift. Allen’s Jewelers is pleased to be one of the few watchmakers in Jacksonville able to restore your vintage timepieces. Our team is very skilled and highly trained, having years of experience in cleaning, overhauling and servicing fine wrist and pocket watches. We are sure you will be pleased with our level of service and commitment, whether the watch is a simple, mechanical, hand-winding time piece or a complicated, perpetual, repeating chronograph. 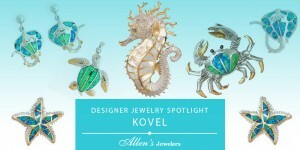 Allen’s Jewelers also has a selection of alternative jewelry. Unique pieces in Titanium, Tungsten, Carbide, and Stainless Steel for Dads with a desire for less traditional metal jewelry. Does Dad like to keep up with trends? Cufflinks are back in style or consider a bracelet for a unique gift. From watches to cufflinks, if you haven’t found the type or style of jewelry that you are looking for, please visit our Allen’s Jewelers showroom on Atlantic Boulevard, or contact the Allen’s Jewelers team today.